What we share with our customers is an unwavering passion for micro-optical components. Precision is our focus and we team this with a particular affinity for the seemingly impossible. Discuss your visions with us on an equal footing and allow us to inject our enthusiasm into your project. Our multidisciplinary team of specialists in physics, optics and microtechnology pushes the boundaries of what is technologically feasible on a daily basis. You and your individual request for a customer-specific microstructure will always be at the heart of our work. Albert Einstein famously said, “If at first the idea is not absurd, then there is no hope for it,” and this is a principle we follow in our daily work. 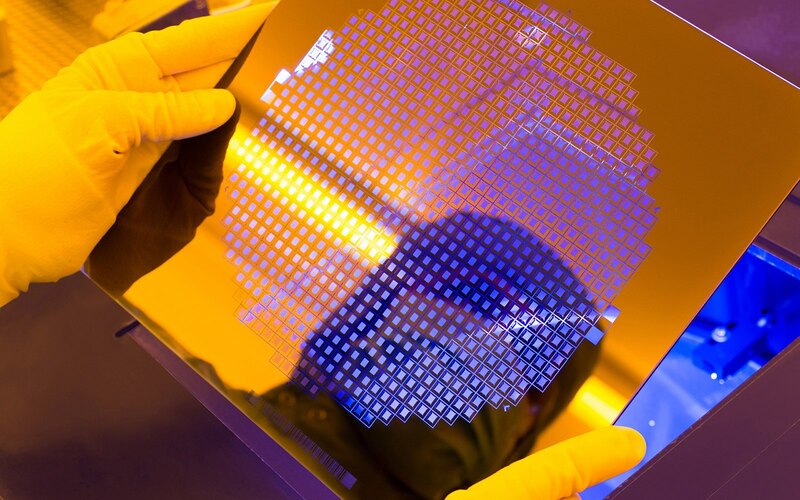 Our specialists have been developing highly precise elements based on photolithographic processes for decades. Offering innovation, individual support with optimising ideas and expertise on feasibility, we facilitate quick and flexible processes. In other words, we understand your problem and produce results. We want to give you the development security you need to be able to make the most of your innovative potential. Creation and conception lead to the perfect product. Our varied production methods allow for processes to be adjusted to the relevant series runs at any time, whilst maintaining the same high quality and without extending the process. You will be able to plan reliably because we stick to deadlines and handle products with care right through to delivery. A high level of automation guarantees the necessary production reliability and security, and ensures that production is environmentally friendly. Samples? We don’t make them. We produce pilot runs or prototypes on the series machines, meaning that you get attractive, clean and valuable products that are nothing short of perfect.